Medical organizations, including the Israeli Medical Association, have denounced force feedings as violating human rights and medical ethics. If the request [to the court for permission to force-feed a prisoner] is authorized, the prisoner can be fed against his will and a prison guard can use “reasonable” physical force to ensure the prisoner is fed. The treatment, the law states, must be administered in the presence of a doctor. This entry was posted in Civil Rights, Demonstrations & Protests, Government, Health Care, Human Rights, International Agreements, Media Issues, National Security vs Police State, Religion, War Crimes and tagged Atrocities, Civil Rights, Health Care, Human rights, International Agreements, Israel, Palestine, Police Brutality, Protests, Security, War Crimes on July 31, 2015 by ew. Fighting Both Sides of the Same War: Is Turkey Using Attacks On ISIL As Cover for Assault on Kurds? 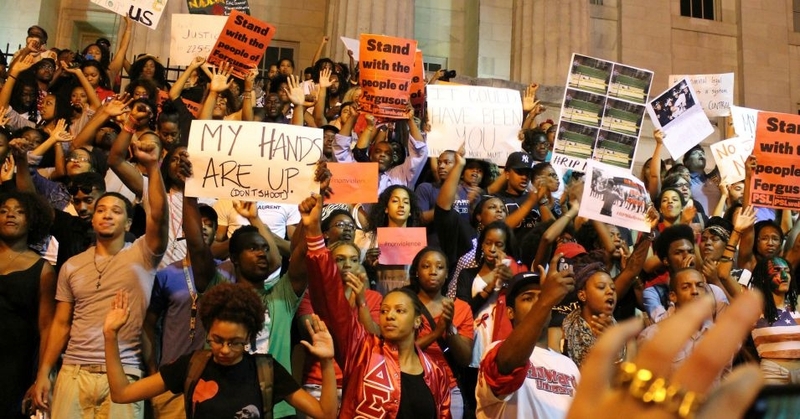 Originally published July 29, 2015 by Democracy Now! Since our inception, we have stood firmly in support of the Kurds and the struggle they face throughout the region. We continue our plea to the United States government to remove the PKK from their list of recognized terrorist groups. When one considers all the facts of the matter – to support Turkey’s actions against the Kurds while recognizing the Kurds as the only force capable and willing to repel ISIL – only contributes to instability and strengthens ISIL’s resolve. To continue this indecisive policy will result in the deaths of thousands of innocent people. This entry was posted in Civil Rights, Corruption, Government, Human Rights, International Agreements, Kurds and Kurdistan, Media Issues, Religion, Social Justice, Terrorism, War Crimes and tagged American Kurdish Information Network, Atrocities, Civil Rights, Daesh, Erdogan, Human rights, International Agreements, ISIL, ISIS, Islamic State, Kurdish people, Kurds, pro-Kurdish Peoples’ Democratic Party, Syria, Turkey, War Crimes on July 30, 2015 by ew. Written by Deirdre Fulton, staff writer for Common Dreams. Published 7-28-15. Offering a stark warning of how corporate-friendly trade pacts like the TransAtlantic Trade and Investment Partnership (TTIP) put both democracy and the environment at risk, a Canadian company is seeking damages from Romania after being blocked from creating an open-pit gold mine over citizen concerns. Gabriel Resources Ltd. announced last week that it had filed a request for arbitration with the World Bank’s International Center for Settlement of Investment Disputes, a body not unlike the secret tribunals that critics like Sen. Elizabeth Warren (D-Mass.) have warned against. The corporation’s Rosia Montana open-pit gold mine project stalled after a series of protests in cities across Romania in 2013 demanded Gabriel’s plan be dropped. As Common Dreams reported at the time, Romanian residents and environmental activists have opposed the mine since it was proposed in the 1990s, charging that it would blast off mountaintops, destroy a potential UNESCO World Heritage site, and displace residents from the town of Rosia Montana and nearby villages. In particular, local communities opposed the use of cyanide as part of the extraction process. Such opposition led to widespread street protests in 2013, which in turn pressured the Romanian Parliament to reject a bill introduced by the government that would have paved the way for the mine. 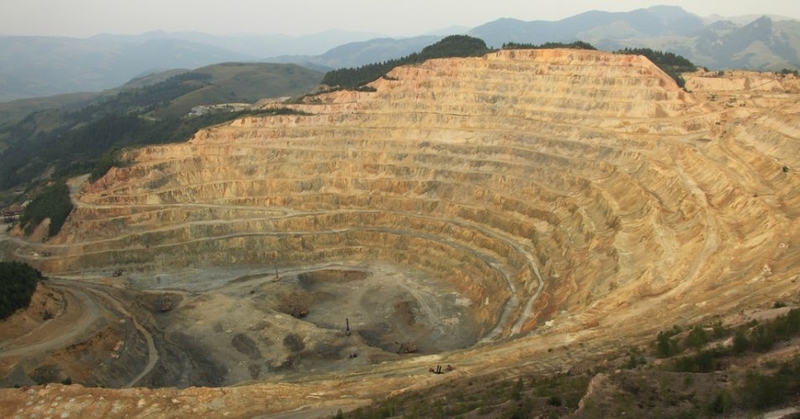 Now, Gabriel Resources, which holds an 80 percent stake in the Rosia Montana Gold Corporation, says (pdf) the country has violated international treaties. Bloomberg reports that in 2013, Gabriel threatened to seek as much as $4 billion of damages should Romanian lawmakers vote to oppose its gold and silver project in the country. This entry was posted in Civil Rights, Climate Change & Environmental Issues, Corporate Personhood, Demonstrations & Protests, Economics, Government, International Agreements, Media Issues, Mining, Refugee Issues, Social Justice, Water and tagged Democracy, Economics, Environment, Human rights, International Agreements, Media Issues, Protests, social justice, TPP, Trans Pacific Partnership, Transatlantic Trade & investment Partnership, TTIP, Water on July 29, 2015 by MNgranny. 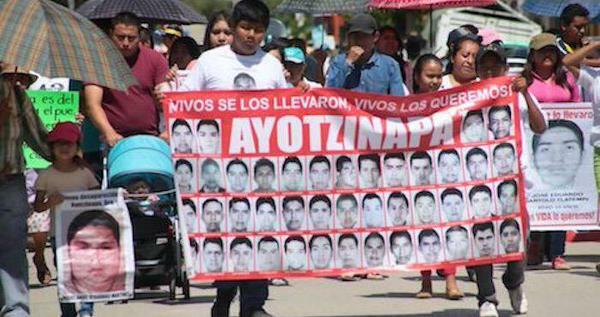 The search for 43 college students who vanished in the southern Mexican state of Guerrero 10 months ago has turned up at least 60 clandestine graves and 129 bodies, the Associated Press revealed Monday. This entry was posted in Civil Rights, Corruption, Demonstrations & Protests, Education, Government, Human Rights, Media Issues, National Security vs Police State, Social Justice, Solidarity and tagged Atrocities, Ayotzinapa, Cartels, Civil Rights, Corruption, Education, Human rights, Iguala, Mexico, Police Brutality, Protests, social justice, Solidarity on July 28, 2015 by ew. Written by Andrea Germanos, staff writer for Common Dreams. Published 7-23-15. The U.S. House of Representatives on Thursday passed legislation that would block states from requiring the labeling of genetically engineered foods, or GMOs—a move that consumer rights groups decried as corporate power defeating Americans’ right to know what’s in their food. 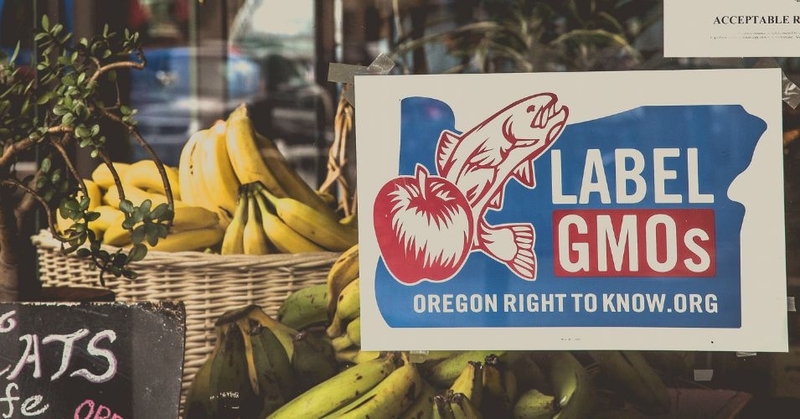 It was backed by the food industry, including the Grocery Manufacturers Association and Monsanto Company, which have poured money into defeating GMO labeling initiatives. Among those disappointed in the passage of the legislation is the Center for Food Safety. “Passage of this bill is an attempt by Monsanto and its agribusiness cronies to crush the democratic decision-making of tens of millions of Americans. Corporate influence has won and the voice of the people has been ignored,” stated Andrew Kimbrell, executive director of Center for Food Safety. Environmental Working Group (EWG) was also opposed to the bill, and cited widespread public support for labeling GMOs. “It’s outrageous that some House lawmakers voted to ignore the wishes of nine out of 10 Americans,” said Scott Faber, senior vice president of government affairs for EWG. But Ronnie Cummins, international director of the Organic Consumers Association, stressed that the fight is far from over—so expect resistance. “We are committed to stopping this outrageous, anti-consumer, anti-democracy legislation from succeeding,” Cummins said. “We will do so by mobilizing a massive opposition movement that transcends political party affiliations, and that unites consumers of all ages with organic farmers and retailers whose livelihoods are threatened by this legislation, and with the medical and scientific experts who are outspoken about the potential health and environmental risks associated with GMO crops and foods. “It’s time to hold every member of Congress accountable. Either they stand with Monsanto and Big Food in support of the DARK Act, or they stand with the overwhelming majority of their constituents for truthful labeling and consumer choice,” Cummins stated. Instead of H.R. 1599, hundreds of farm, public interest and environmental organizations have urged (pdf) passage of bipartisan legislation that would require labeling of GMOs. This entry was posted in Agriculture, Civil Rights, Climate Change & Environmental Issues, Demonstrations & Protests, Government, Human Rights, Social Justice and tagged Civil Rights, DARK Act, Democracy, Environment, GMO Labeling, Monsanto, Protests on July 27, 2015 by MNgranny. Written by Deirdre Fulton, staff writer for Common Dreams. Published 7-23-15. Fighting to protect dark money. Attacking federal efforts to rein in carbon pollution. Undermining local democracy. These are just some of the “hot topics” on the agenda this week as conservative lawmakers, corporate lobbyists, and top GOP candidates from around the country gather in San Diego for the American Legislative Exchange Council (ALEC)’s annual meeting. “A dark cloud is headed our way in the form of a shadowy lobbying organization that buys loyalty from state legislatures with untraceable corporate dollars and threatens the very fabric of our democracy,” San Diego County Democratic Party chair Francine Busby wrote in advance of the conference. It was with these charges in mind that more than 1,000 labor, social justice, and environmental advocates rolled out the unwelcome mat for the ALEC legislators and lobbyists on Wednesday, saying they didn’t want the corporate-backed group in their city. 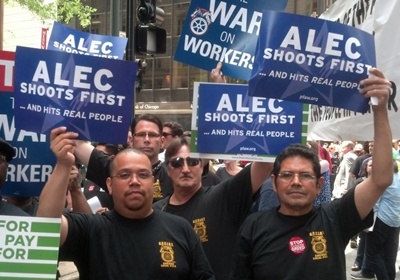 The city has served as a “petri dish for ALEC’s agenda,” he said, citing a successful and corporate-backed campaign that forced the city council to rescind a popular minimum wage measure. In a separate blog post on Monday, CMD’s Fischer noted that ALEC’s new offshoot focused on local government, the American City County Exchange (ACCE), will also meet in San Diego this week. According to news reports, two Republican presidential hopefuls—Wisconsin Gov. Scott Walker and Mike Huckabee, the ex-Arkansas governor—are scheduled to speak at the conference on Thursday. Sen. Ted Cruz (R-Texas) canceled his scheduled Friday appearance. This entry was posted in Banking & Lending Issues, Campaign finance, Climate Change & Environmental Issues, Corporate Personhood, Corruption, Demonstrations & Protests, Economics, Elections, Energy, Fracking, Government, Income Inequality, Mining, Privatization, Unions and Organized Labor, Voting, Water, Women's Issues, Workers' Issues and tagged ACCE, ALEC, Capitalism, Democracy, Economics, Elections, Energy, Environment, Fracking, Hydraulic Fracking, Income Inequality, Mike Huckabee, Oil, Oil Shale, Pipeline, Protests, Scott Walker, Ted Cruz, Unions, Water, Women's Issues, Worker's Rights, workers' issues on July 26, 2015 by MNgranny. Written by Sarah Lazare, staff writer for Common Dreams. Published 7-22-15. 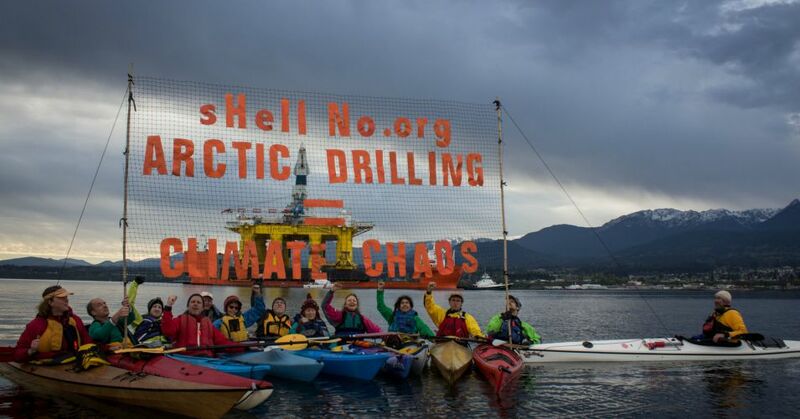 But campaigners say that the restrictions are weak, and the fact that Shell will now be permitted to drill in the Arctic constitutes a deep betrayal of Obama’s own pledge to make tackling climate change one of his top three priorities during his second term. Campaigners say the growing climate justice movement—which has protested Arctic drilling from land and sea—will not be discouraged by Wednesday’s development, and in fact, will pick up the pace. This entry was posted in Climate Change & Environmental Issues, Demonstrations & Protests, Economics, Energy, Government, Water and tagged Capitalism, Economics, Energy, Environment, Kayaktivists, Oil, Protests, Royal Dutch Shell, Water on July 24, 2015 by MNgranny. Written by Deirdre Fulton, staff writer for Common Dreams. Published 7-21-15. With several key promises of the Dodd-Frank Wall Street Reform and Consumer Protection Act still unfulfilled, “Americans cannot be comforted that Wall Street will not wreak havoc again,” according to a new report from the watchdog group Public Citizen. “Five years after President Barack Obama signed this legislation, Dodd-Frank remains largely incomplete,” said Bartlett Naylor, Public Citizen’s financial policy advocate and author of the report, Dodd-Frank is Five: And Still Not Allowed Out of the House (pdf), published Tuesday. In fact, of the 390 rules required by the law, fewer than two-thirds have been completed; 60 rules have yet to be finalized, while another 83 have not even been proposed, according to a tally by law firm Davis Polk. The report specifically looks at the status of key Dodd-Frank provisions including the Volcker Rule, which bans proprietary trading or short-term speculation; the “living will” stipulation empowering regulators to break up big banks that don’t provide a “credible” plan for an orderly resolution under the bankruptcy code should they fail; and restrictions on banker pay schemes that reward excessive risk-taking. In all three areas, regulation has been stalled or stymied, Public Citizen declares—a reality the report attributes to the revolving door between Wall Street and Washington, D.C. The banks still “frankly own the place,” in Sen. Richard Durbin’s immortal words, Sen. Elizabeth Warren has only begun to unveil the revolving door between Wall Street and it regulators that often neuters the law. 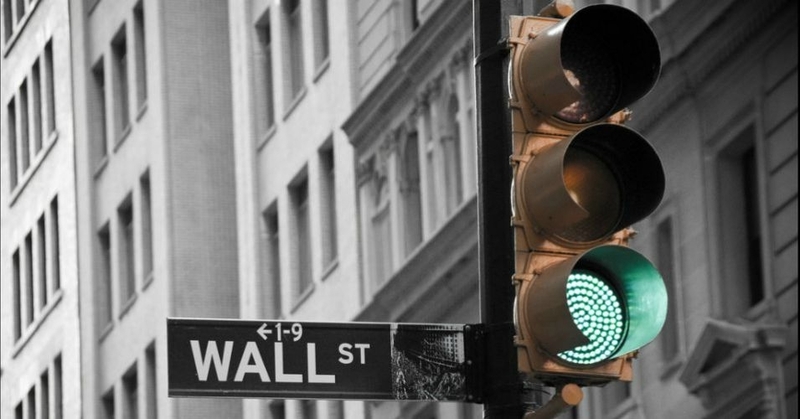 Wall Street continues to deploy legions of lobbyists to avoid sensible regulation. It remains the leading source of dough for the leading presidential candidates in both parties. The Wall Street Journal reports that in the first month of reporting, Clinton raised about $300,000 from people working in the six biggest banks, while Bush pocketed $144,000 from Goldman Sachs employees alone. And that’s not counting the big money donations for their superPACs. This entry was posted in Antitrust, Banking & Lending Issues, Campaign finance, Corruption, Economics, Elections, Government and tagged Bank Regulations, Campaign Finance, Capitalism, Democracy, Dodd-Frank, Economics, Elections, Elizabeth Warren, Hillary Clinton, Jeb Bush on July 23, 2015 by MNgranny. Written by Jon Queally, staff writer for Common Dreams. Published 7-21-15. 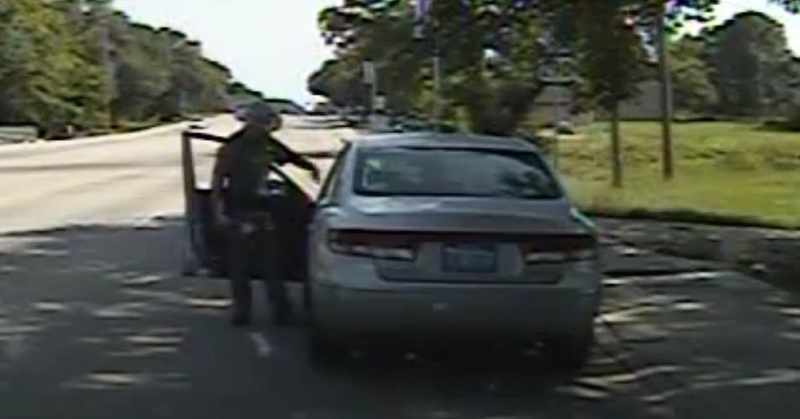 While many questions still remain about what exactly happened to Sandra Bland in a Texas jail cell before she was found dead under mysterious circumstances on July 13, those looking for answers about why she was initially placed under arrest three days earlier were offered a look at devastating dash-cam footage released by the Texas Department of Public Safety on Tuesday evening which showed the arresting officer, Texas State Trooper Brian Encinia, actively escalating a situation with violence and threatening the unarmed black woman with a Taser. The manner in which the escalation occurred led law enforcement officials to say that Encinia had not followed department procedures and failed to “maintain professionalism” during the arrest. As the New York Times reports, several Texas lawmakers who were shown the footage said it is clear that Bland should never have been treated in such a manner nor ultimately taken into custody by police. “This young woman should be alive today,” said State Representative Helen Giddings, Democrat of Dallas. Ms. Bland, an African-American from the Chicago area who had come to Texas for a job at her alma mater, Prairie View University, was arrested after she was stopped July 10 for a failure to signal a turn. The video also confirmed an account from the family’s lawyer that the confrontation between Ms. Bland and the trooper, Brian T. Encinia, escalated after she refused the officer’s order to put out a cigarette, said [State Senator Royce West, Democrat of Dallas]. Neither the Taser nor the confrontation over the cigarette were mentioned in Officer Encinia’s incident report, which was released on Tuesday by the Waller County district attorney’s office. In a press conference late Tuesday, the director of the Texas Department of Public Safety said that Encinia failed to “maintain professionalism” throughout his interaction with Bland, and that he has been taken off the street and placed on administrative duty for duration of the investigation into Bland’s death. In answer to a reporter’s question, Texas state Sen. Royce West said that the dash cam footage showed that Bland should not have been taken into police custody. The subsequent death of Bland has continued to raise troubling questions since she was found hanged on the morning of July 13. A medical examiner report and the county sheriff’s office ruled her death a suicide, but during the three days Bland spent in jail, Bland’s family members said they spoke to her on the about posting bail, and that a suicide seemed “unfathomable.” An hour before she was found, Bland had asked to use the phone again, county officials said. The Bland case is the latest in a string of high-profile incidents around the country that have highlighted the strained relationship between the African-American community and local police. Around two minutes into the 52-minute video, Bland changes lanes without signaling, and the police officer pulls her over. After several minutes while the officer sits in his cruiser, presumably going over paperwork, he returns to the vehicle to find Bland is upset. “You seem very irritated,” he says. She responds by saying that she only changed lanes because she felt the officer was speeding up behind her. The officer then asks Bland to put out her cigarette, and when she refuses, he orders her to step out of her car. When she refuses, he opens her car door and orders her repeatedly to step out, while she argues that she did nothing wrong. The encounter soon turns physical. On Twitter, the reactions to what the newly released footage reveal about the arrest included expressions of outrage and confirmed for many that Bland should never have ended up in that jail cell in the first place. This entry was posted in Civil Rights, Corruption, Human Rights, National Security vs Police State, Social Justice, Solidarity and tagged Atrocities, BlackLivesMatter, Civil Rights, Equality, Human rights, Police Brutality, race, racial bias, Racism, Sandra Bland, Security, social justice, Solidarity on July 22, 2015 by MNgranny.